Manchester Friends of the Earth | What is the DUP’s approach to key green issues in Northern Ireland? With the 10 MPs of the DUP now so powerful in Westminster, they have an important influence on the environment across the UK. So what is the DUP’s approach to key environmental issues in Northern Ireland? What is DUP policy on climate change, nature, planning, environmental regulation, transport and agriculture? 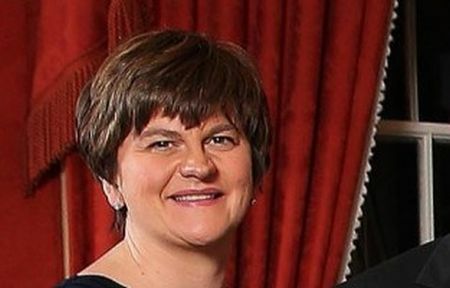 The DUP might be propping up the Conservative government (DUP leader Arlene Foster pictured, below). But this Brexit-supporting party is not best friends with the environment. The DUP’s latest manifesto does not even mention the words “environment” or “climate change”. The DUP does say a lot, however, about cutting red tape. It is pro fracking and pro industrial farming. They have only one senior climate change denier, in Sammy Wilson, and when in power they made him Minister for the Environment. The DUP, like Sinn Fein, emerged from sectarian and political conflict. Before the peace agreement in 1997 it was not really possible to talk about environmental issues as the country was consumed by violent conflict. Friends of the Earth expected the peace agreement to create the conditions for a new future where we looked after the land air and water that we all depend on. But that has not happened. However we believe these hugely important issues can unite the entire community and create the conditions for future peace. 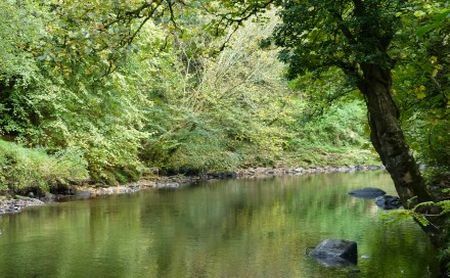 Here are 6 key environmental issues in Northern Ireland – and DUP policy on climate change, nature, planning, environmental regulation, transport and agriculture. Northern Ireland is the only jurisdiction in the UK to not have a climate change law that provides a legal framework to cut greenhouse gas emissions. The DUP has consistently blocked a Northern Ireland Climate Change Act and support fracking and other oil and gas exploration. And yet latest figures show our greenhouse gas emissions have actually increased, due to agriculture and transport. The DUP has supported the removal of rates relief for energy efficient buildings. On a related issue, nearly half the population is living in fuel poverty, meaning they cannot keep their homes warm at a reasonable cost. A programme of better insulation for homes for those on low income would help to solve this. Friends of the Earth is campaigning for the Northern Ireland government to do its fair share in meeting internationally agreed emissions reductions targets, and for a Green New Deal that would enable a sustainable economy. This requires a functioning Northern Ireland Assembly and for all parties to take responsibility for the biggest issue facing future generations. In 2007 a report from an independent panel of experts set up by the Secretary of State for Northern Ireland recommended a major overhaul of environmental regulation in Northern Ireland. The DUP had the power to act on this at the time but decided against the introduction of an environmental protection agency that would be independent of political interference. This was a terrible decision, as Northern Ireland is desperately in need of an effective body to enforce environmental laws. Northern Ireland is one of the most ecologically depleted parts of the planet, with many examples of failures to protect the environment. Several species are at risk or near extinction, and our most important habitats, such as Lough Neagh, are being undermined by poor regulation. Northern Ireland has some of biggest illegal mines and waste dumps in the whole of Europe, yet no one in government is standing up to protect the environment. Friends of the Earth’s work involves, among other things, exposing individual cases where our special places are threatened. In some cases it involves taking legal action to protect them (Lough Neagh, for example). We’re also campaigning for an independent and powerful environmental protection agency. The DUP generally views the planning system as an obstacle to economic growth. And through various failures of the Northern Ireland Executive, we now have a system that either slows down sustainable development or rewards mediocre development. The DUP has rejected meaningful protection of our special places. For example, Northern Ireland’s only UNESCO World Heritage site, Giant’s Causeway, is threatened by a holiday resort approved with the support of the DUP. Meanwhile, the DUP has prevented the introduction of third-party rights of appeal, which would give communities the same right as developers to appeal planning decisions. Friends of the Earth is campaigning for a revival in the planning system to ensure it acts in the public interest. In Northern Ireland we drive too much, and we need to boost people’s use of public transport. However, Northern Ireland Executive policy on transport favours the building of major new roads, with serious implications for road safety and air quality – air pollution is driving respiratory illness in some of our poorest council wards. Friends of the Earth is working with other groups campaigning against new roads that are affecting sensitive habitats, for better public transport and for more opportunities for cycling. Northern Ireland’s local politicians – and not just the DUP – have turned Northern Ireland into an epicentre for intensive farming of poultry and pigs. The Going for Growth strategy undermines Northern Ireland’s farming culture by promoting factory farming. The resulting water and air pollution have had a huge impact, with birds, fish and insects in massive decline. Friends of the Earth is campaigning to put the brakes on the rapid growth of factory farms, and for a new vision for farming that keeps families on the land and produces good quality food. Northern Ireland is one of the last places in the democratic world where you cannot see who is funding political parties. When a party that holds the balance of power in Westminster does not have to reveal its sources of funding, democracy is undermined across the UK. With crucial votes on Brexit, fracking, renewable energy, farming and environmental regulation coming before this parliament, it’s essential that we know where political parties’ funding is coming from. 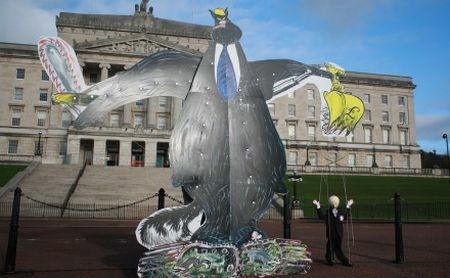 Friends of the Earth has been campaigning for transparency of party funding in Northern Ireland for half a decade. You can help by clicking on the button below and telling the Northern Ireland Secretary of State that our democracy is compromised by this shadowy party funding.